Travel to North Korea is now possible all year round due to changes in policy from the DPRK national tourism bureau. 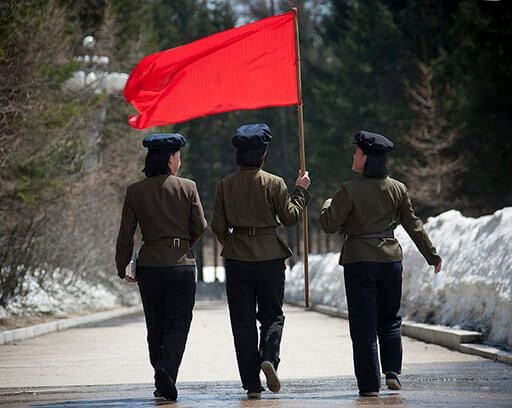 Overall, the best time to visit North Korea is during national holidays in spring or autumn such as Arirang Mass Games, which have been rehearsed for months, in this event. 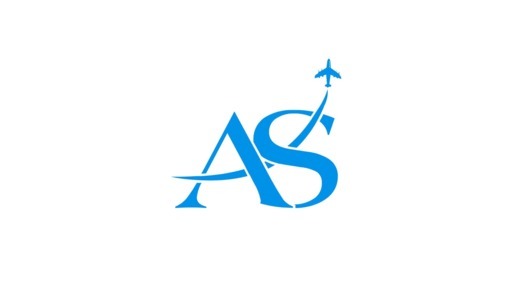 During these spring and autumn months, days are relatively mild and clear; as generally the country experiences cool and cold sunny winters, and warm, humid summers, when most of the rainfall occurs. The rainy season, mainly July and August, is very humid, cloudy and sticky, and not brilliant for radiant photography as the rain soups up poorer roads and rail lines and curtails access. On average, the coldest month in North Korea is January. Whilst January is the coldest month of the year in North Korea, it is still possible to visit at this time and the crisp blue skies provide favourable photo opportunities. Simply come prepared for freezing temperatures and the occasional snow shower. However, such weather conditions make January an excellent time of year for ski-ing, snowboarding and other winter sports in the southern province of Wonsan at the Masikryong Ski Resort. Also, there is very little rain during this month so those crisp, white views are always on offer. Winter continues throughout North Korea in February. It will feel especially cold in the country's mountainous areas in Rason, Chongjin and Mount Paektu where temperatures can occasionally drop to -15°C. The winter is, however, mercifully dry, so there will be very little rainfall. Wherever you are in North Korea, you can expect freezing temperatures and frequent snowfall: good news if you're planning to visit the ski resorts of Masikryong Ski Resort in Wonsan. The temperature does not rise above freezing in Pyongyang. Even in the mildest areas of the country on its southern and eastern coast, there is more than a nip in the air: Nampo, Hamhung and Haeju typically records a maximum of 5°C during February. The long, cold North Korean winter is finally coming to an end, and days are typically cold and dry with very little rain expected in March. Those crisp, white snow-covered landscapes are still there for the taking, especially in the northern ski resorts of Masikryong Ski Resort. Hills and mountains, such as those found at Rason and Mount Paektu, continue to record temperatures that plummet below freezing, and the mercury in Pyongyang is unlikely to rise much above 7°C at best. However, further south it is beginning to feel a little milder, with the seaside city of Hamhung and southern area of Kaesong DMZ are typically experiencing minimum daily temperatures of 8°C and a maximum of 10°C. 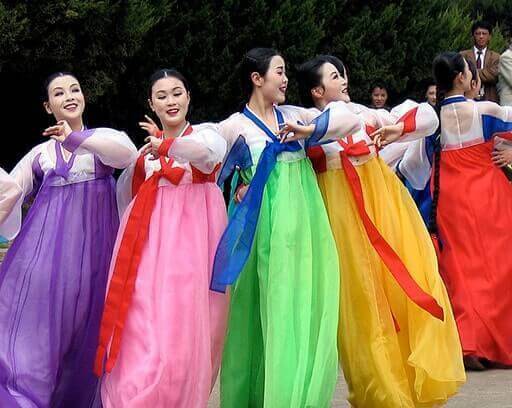 April sees the blossoming of spring throughout North Korea. As the snow and freezing temperatures melt away, you can expect increasingly mild temperatures and only a smattering of rain, making April one of the most popular months of the year to visit North Korea. It can still feel a little chilly in the mountainous, and the temperature may still dip just below freezing on occasion, but the southern areas of the country, such as Pyongyang and Kaesong DMZ, record mild daily temperatures that range from a minimum of 6°C and a maximum of 13°C. Travelling to North Korea in April, you can join the Pyongyang Marathon which is held on the nearest Sunday to 15 April, Kim Il-sung’s birthday. 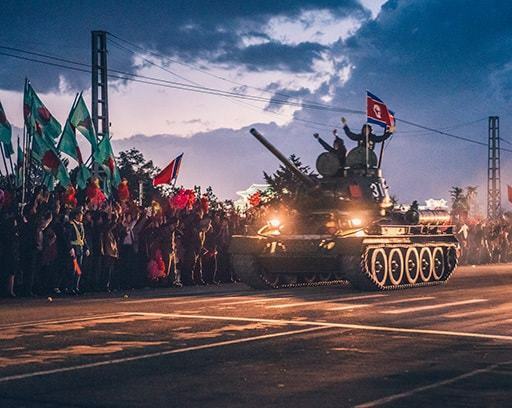 This event is a unique chance to run through the North Korean capital. May is arguably one of the best months of the year to visit North Korea. Its delightful spring is in full effect, with the countryside and green spaces covered in swathes of cherry blossom. You can expect pleasant weather throughout North Korea during May. 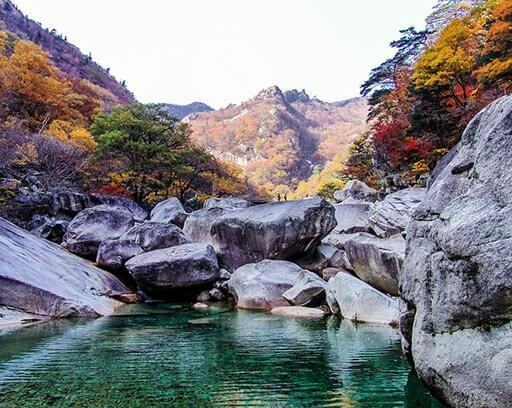 Average temperatures are comfortable rather than sticky and muggy and the summer rains are yet to arrive, making conditions especially good for trekking in the mountainous areas of Mount Myohyang, Mount Kumgang. Days are typically sunny, dry and warm, particularly in the southern city of Nampo and on Haeju. 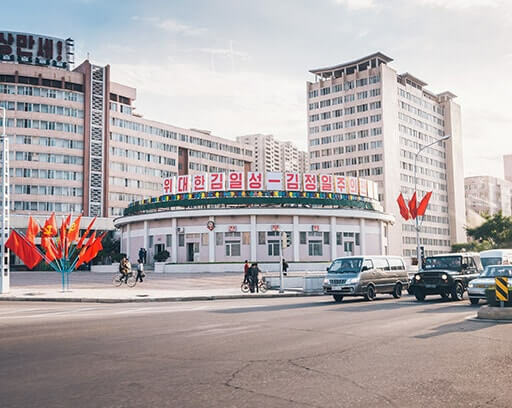 The capital, Pyongyang, offers a fairly typical indication of what the thermometers will read in North Korea during May, with average minimum temperatures of 12°C and the possibility of positively balmy highs of 22°C. As spring gradually morphs into summer, June sees the temperatures begin to rise throughout North Korea. However the humidity and monsoon downpours that typify the coming summer months are yet to arrive, making June an ideal month of the year to visit North Korea, especially if you are planning on enjoying the country's great outdoors and exploring Kaesong, Pyongsong and the other northern areas of Rason, Chongjin. 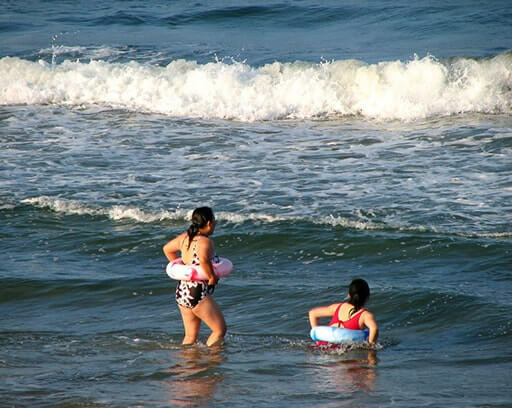 It is also excellent beach weather, so head for the seaside city of Wonsan, Hamhung and the southern coastal locations. 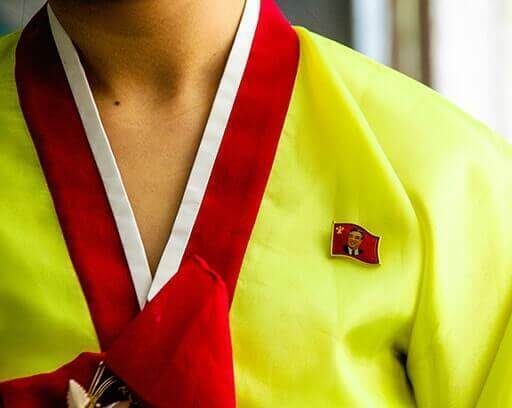 With rainfall low and comfortable temperatures - that average 20-22°C in Pyongyang - it is warm enough to sport a t-shirt, but not too warm to feel hot and clammy and in need of an air-conditioned sanctuary! The North Korean summer which arrives in July may not be exactly the summer you envisage. As the temperature rises, so do the humidity levels. This means that monsoon rains are also to be expected - indeed, more than half of the annual rainfall will plummet from the skies in July and August. Highs of 27°C can be expected on occasion in Pyongyang and Hamhung during this month while the breeze on the coast offers a welcome respite from the heat. July is also typically the wettest month of the year and torrential monsoon rains can be expected. Thankfully North Korea is sheltered from the typhoons that can hit this region during the summer months. The sheltering masses of China and Japan, however, do still let in a couple each year. These have not caused major problems in recent years but can create landslides in the hills around Kaesong DMZ and Mount Kuwol and generally a few extremely wet days as they blow over the country. The North Korean summer is in full swing in August. Expect high temperatures that push the mercury close to 30°C and very high humidity levels. July’s torrential monsoon rains continue throughout August, so be sure to pack your rain gear. As the North Korean summer heat and humidity continues into August, this is a time to seek out air-conditioned spaces in Pyongyang, the lofty mountains of Mount Kumgang and Mount Myohyang, and eastern coastal resorts, such as Wonsan and Hamhung, that offer a refreshing breeze. Monsoon rains can be expected throughout the country, providing North Korea with more than half of its annual rainfall during the months of July and August. There is also a limited risk of typhoons, although these mainly affect neighbouring countries, with North Korea sheltered by the land masses of China and Japan. September sees the start of autumn in North Korea, although at the beginning of the month, expect the heavy rain and muggy heat of the previous months to continue. As the month progresses, the heat begins to drop and the rains lessen, thanks to autumn gradually taking hold. This is when North Korea bursts into colour with stunning shades of orange and red peppering its landscapes. The breezy coastal resorts around Wonsan and Hamhung offer a refreshing respite, as do the mountainous areas such as Mount Paektu and Mount Myohyang. 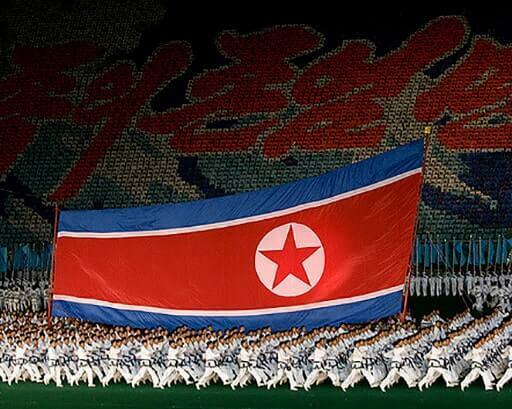 The travel to North Korea in the first half of the September can be rewarded with an opportunity to attend the Mass Games which is recognized as the Guiness record. October is the month that the glorious colours of autumn come into full view. The high levels of humidity and oppressive, muggy air of summer are now a thing of the past, as are the torrential rains. 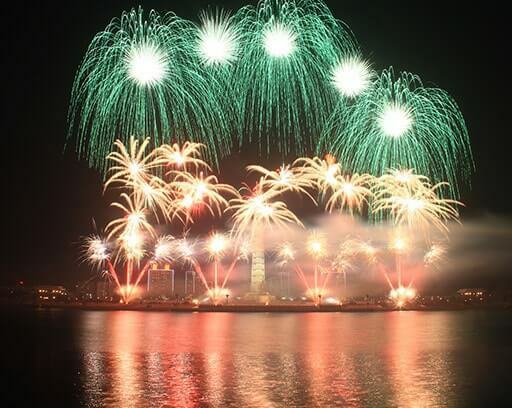 It is one of the best months of the year to appreciate North Korea's beautiful landscapes and relax on its beaches. In their place is a dry climate that offers blue skies, sunny days and comfortable temperatures ranging from 15°C in the north and at altitude, to 26°C in the southern regions. 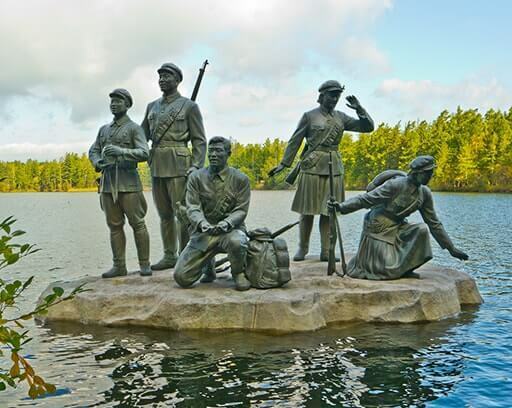 October weather is ideal for exploring North Korea’s great outdoors. In the more mountainous areas, it can feel a little chilly once the sun has set, so make sure you have packed extra layers for the evening. Temperatures remain comfortable throughout North Korea in November and you will encounter much less rain than September and October can bring. The onset of winter snow is still a month away and the humidity of summer is a distant memory. 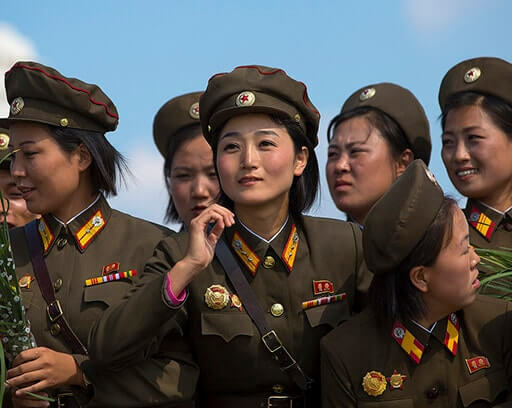 In the capital of Pyongyang, the temperature is likely to be a minimum of 7°C and a maximum of 19°C; and in the southern coastal regions things remain a little more balmy, with Nampo and Haeju typically enjoying temperatures in the range of 15-21°C. 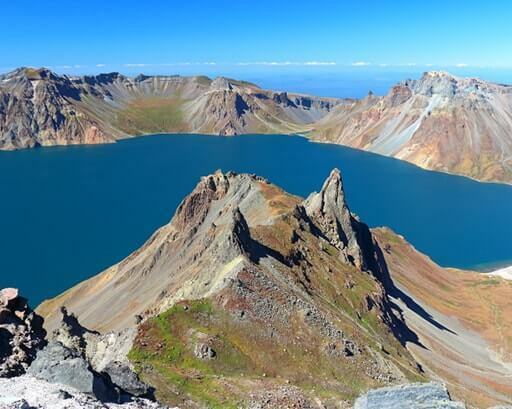 If you plan on heading into the mountainous regions of Mount Chilbo, Mount Paektu, you should still pack a few extra layers as it can get chilly in the evenings. In essence, favourable weather conditions in November make it a good time of year to visit North Korea. December marks the arrival of winter in North Korea and whilst temperatures are not yet as icy as can be expected in January and February they are much cooler than previous months. Temperatures in Pyongyang range from lows of 0°C to occasional highs of just 5°C. On the southern coast things remain more welcoming, with temperatures in the seaside city of Nampo, Kaesong DMZ and Mount Kuwol ranging from 5-10°C. Towards the end of the month snow can be expected, particularly in the northern provinces of Chongjin and Rason. You will definitely need to pack a few extra layers although if you're heading south you may still get some wear out of your t-shirts during the day. However, December does not suffer the extreme cold of later winter months and there are still many sunny, dry days to enjoy.